See below the search results for Trogir real estate for sale – Trogir is an ancient town and harbor, 27km west of Split with a population of 10,000 people. The core of the old town is situated on a small island between Island Čiovo to the south and the mainland to the north. Trogir is a town-museum. Lovers of cultural and historical monuments, art, original architecture and nice alleys are given the opportunity in Trogir to learn about it’s long established heritage – from the Romanesque yard to the modern interiors. Trogir has a special atmosphere, which, despite the crowds during the peak summer period, makes it feel like a living town rather than just a tourist trap. A coffee on the promenade (called ‘Riva’ in Croatian) looking at the super yachts moored on the waterfront makes for a very pleasant way to while away an hour or so after taking in the cultural sights. There are also numerous coffee shops, bar’s and restaurants serving local delights in and around the old town. It is fun and lively place especially during the summer season but not attract the package tourist trade and as such feels exclusive. Trogir is also a port and has ferry connections to the surrounding Island’s as well as day excursions to remote beaches in the area. It is also only 45 minutes by car from the National park Krka. To get to Krka, you drive to picturesque waterside village called Skradin and then a boat up the river to the park and waterfalls. Trogir is also attached to Island Čiovo, a well established, tourist destination and also a popular place to buy property in Croatia. 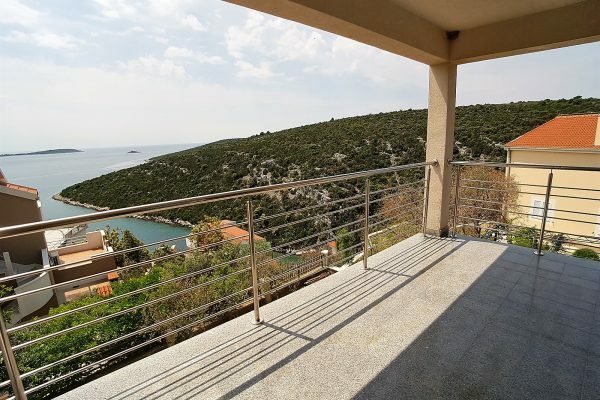 Be it general information that you are looking for or details about some specific Trogir real estate for sale, Trogir property prices, market trends, the best places to buy property in the Trogir area – we are here to help you find your perfect Trogir property.